Happy 4th of July to all my American friends! 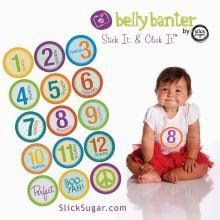 You may remember a while back I reviewed Belly Banter - those adorable stick-on decals for babies that you can use in scrapbooking, or on your baby to take monthly milestone photographs! 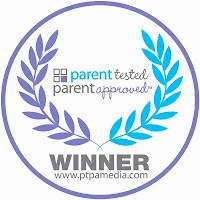 Belly Banter is a recent PTPA winner! See the review here. And because I enjoyed them so much, I'm holding a contest. Enter below to win 1 of 3 Belly Banter sheets. In honour of Independence Day, this contest is open to US residents only.